Some homeschooling parents hope to limit their children's exposure to peer pressure, only to find themselves subjected to the grown-up version! Families who homeschool are no longer as mysterious as they once were. Homeschooling is often in the news. Homeschoolers are winning spelling bees, outscoring public schooled students on standardized tests, and being accepted into the best colleges. But what if your child isn't doing any of the above? Homeschooling families have historically chafed at the assumption that children taught at home receive an inferior education or are socially inept. Now that homeschooling has become more popular, its reputation seems to have done an about-face! Those whose experience with homeschooling is limited to what they've read in the news often expect home educated children to exhibit model behavior and to excel academically. This can put immense pressure on a homeschooling mother when she eventually realizes the vulnerable position in which she has placed herself. She, alone, is responsible for educating her child. If they fail, she feels it is her failure. Now, the definition of "fail" has been broadened. Studies show the average homeschooler outscoring public schooled students by 34 percentage points. If a homeschooled child doesn't excel in every subject, they have somehow failed to live up to expectations. A recent thread on the Time4Learning Parent Forum was started by a mother with these concerns. Because she wasn't producing super achievers, she thought she must be doing something wrong. The feeling was increased by the expectations of her probably well-meaning husband, who had bought into the myth that all homeschoolers excel at everything. Fortunately, the supportive community on the parent forum quickly stepped in to reassure her. Standardized test results are simply a snapshot of a student's ability at that particular point. Their performance will ebb and flow. Most children's school years are a combination of struggles and successes. Are you both doing your best? That's all anyone can ask. When kids are having trouble with their school work, it's common for homeschooling families to consider putting them in public school. What's ironic is that public schooled youngsters who fall behind are often withdrawn from school so their parents can help them catch up by homeschooling them! Although there are fathers who help with homeschooling, the duty usually falls to mothers. What about you, homeschooling moms? Are you feeling the pressure to raise perfect children? Longer school days! Oh My! Did you see this topic yesterday? Everywhere I went on the web it was being discussed. Even on our Time4Learning forums. Homeschoolers were having strong thoughts and opinions. I wanted to bring it to our Time4Learning family and get your feedback. It seems that this all started a few years ago by wanting to start mandatory school at an earlier age. I remember feeling very concerned as a mom to all sons. I found that when I tried to push reading, math, writing, with my boys, before they were ready, they had no more success than my younger sons who waited for readiness skills to be evident. As a matter of fact, the ones who waited actually read earlier because their little brains were more mature and able to absorb and hang onto the things they were learning! Statistically speaking Singapore has the highest science and math scores in the WORLD, and they do not even start their children in school until age 7. Their statistics validate the importance of waiting on readiness. I did notice in the research it showed Asian countries who score higher and do better do not spend longer days, but they do take off less. In America we have 180 days dedicated to school and in Singapore, Taiwan, Japan and Hong Kong they spend 190-201 days. I noticed in this particular article they talk a lot about how this will help families who have to work long hours, and are unable to be home when their children get out of school. They state that longer school days will give these particular children a safe and productive environment for students who would normally have to come home to an empty house while parents worked. I can’t help but wonder then if this is the true reason to extend the school day? As I read through this news article I couldn’t help but feel so very thankful that I am able to homeschool my children. Personally, I don’t mind schooling more days per year. (We school year round) However, I feel like the family unit is becoming less and less important as we allow others to educate our children. We begin to lose our influence and others begin to help our children form their opinions. I love that we homeschoolers have the freedom to use curriculum of our choice, to plug into activities that uniquely meet the needs and strength’s of our children. I find myself concerned that longer school days means less of moms influence and more of others. It makes me wonder how this will effect our future generations? I wonder if those who live in states that require you to homeschool a certain amount of hours will change their standards to line up with the public schools? It makes me wonder if kids will still be expected to come home and do homework if their days are extended? How will families be able to have quality time together? As an educator what do YOU think of President Obama’s proposal? Do you see any Pro’s or Con’s to longer school days? Do you think it will have any effect on homeschooling? The world continues to be surprised by my daughter. Attractive and personable, she manages the restaurant where she has been employed for the past two years, while attending college part time. She spends a large percentage of her earnings on clothing and cosmetics, must take care that her social life doesn't interfere with her studies, and thinks she will die if she can't find an affordable car soon. She will probably pay more for the stereo system than the car. In short, my daughter is very much like any other recent high school graduate. Parents who began homeschooling years ago might have been perceived as taking a gamble. There were no homeschooled adults wandering around as "proof" that the homeschooling choice wouldn't cripple your child for life. Despite long lists of famous people who were homeschooled, most of them didn't receive their education in this culture, so the jury was still out on how the children of the early homeschooling movement would fare. I have four more children to guide on this journey. We belong to a terrific homeschool co-op, which welcomed two new families this year. The mothers were both homeschooled themselves. The fact that they also chose to homeschool their own children was significant to me, because my children have occasionally expressed an interest in attending public school . . . from the six-year-old who thought it would be fun to ride a bus, to the teen who assumed school was the hallway gab-fest portrayed in the movies. Anecdotes are interesting, but the statistics reported by the Home School Legal Defense Association's survey of 7,300 homeschooled adults are more telling. When asked how happy their life was in general, 58.4% of homeschooled respondents said they were "very" happy, while 27.6% of the general U.S. population reported being "very" happy. Homeschooled adults also reported greater job satisfaction and more financial peace than the general population. 95.2% of homeschool graduates either "strongly agreed" or "agreed" that they were glad they were homeschooled. 82.1% said they would homeschool their own children. I was particularly interested in the questions that measured a homeschool graduate's perception of the control they have over their own lives. Those who were homeschooled were more likely to agree that hard work is more important than luck in getting ahead in life, and that individuals can influence the direction our government takes. It would appear that adults who were homeschooled can be different than the community at large, but in ways that are noticeable only to the individual himself. When it comes to quality of life, homeschooled adults seem to have an edge over the general population. Discuss this topic and other subjects of interest to homeschoolers on the Time4Learning Parent Forum. Staying Connected - - Do you Friend? Tweet? Feed? I don’t know about you, but I have never felt more “connected” in my life. Between my cell phone and my computer, I am able to be in constant contact with just about anyone I’ve ever met in my life, and plenty that I haven’t! But that is the way we like it these days. We want our friends, our family, and even our homeschool information at the tip of our fingers. In our largely fractured society, where families no longer always live within driving distance, and friends can become as disposable as plastic-ware, we like that we can connect with the people and things that matter to us via the wireless expanse of cyberspace. We at Time4Learning totally understand the need to “reach out and touch someone”, and we are trying to creatively meet you where you are, and help you reach your homeschooling goals by offering you the opportunity for personal interaction with us, and advice from seasoned homeschoolers who have been through what you are going through. Twitter - That’s right, Time4Learning Tweets! So if you are a Twitterer, too, go ahead and follow us. We’ll follow you back, of course! One of the great things about Twitter, is that it is so timely. Have a homeschooling question that needs to be answered RIGHT NOW?? Send us a direct message on Twitter, and we just might be able to help! RSS – One of the greatest facets of this digital age is that you don’t have to go searching for the information you want. It can come right to you! The Time4Learning Parent’s Forum is set up as an automatic feed, so if you want to have the latest posts from the forum come to your site or feed reader, just add this feed address: http://www.time4learning.net/forum/index.php Or maybe you don’t want to follow ALL the activities in the forum, but just specific ones? If you’d like to receive the messages from a particular section of the forum, just click on that forum, and then look for the “Subscribe Forum” link near the top left-hand side of the forum. AND did you know you could even track a particular thread within the forum? Within each thread, again at the top left-hand side of the thread, is a “Subscribe Topic” link. How cool is that, huh? What about you? How have Facebook, Twitter, RSS feeds, and other virtual social networks affected your relationships? Do they strengthen them? Do they complement them? Or do you find them to be a poor substitute for face-to-face contact? 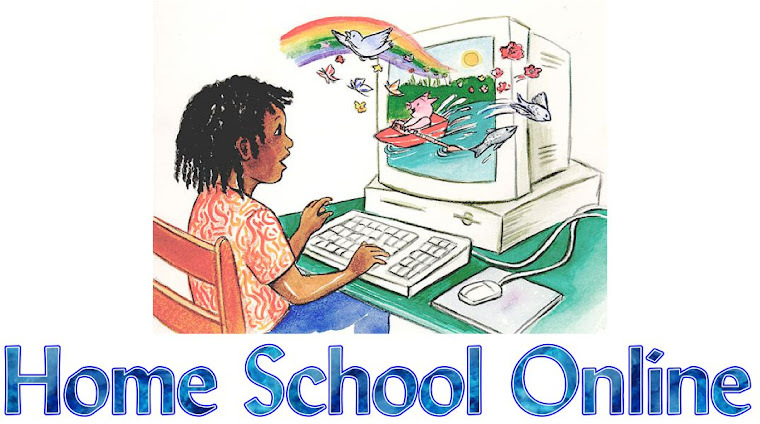 Has your homeschooling experience been enriched by the connections you have made with other homeschoolers online? What are your favorite ways to get and receive advice? I know a lot of teachers. Most chose the profession for noble reasons. They dreamed of imparting knowledge to eager little minds and entered their first teaching job with grand plans. Many quickly became disillusioned simply because teaching often takes a back seat to crowd control. As an aid in a public school classroom, I was put in charge of an egg timer which was used to monitor each child’s turn at a microscope. The children spent an entire class period waiting for their chance to view a leaf for 90 seconds. The rest of the time, they were coloring at their desks. I remember wondering how this classroom lesson could possibly be superior to a child's casual observation of the variety of leaves in his jumping-in pile at home, followed by a session with his favorite coloring book. Still, I realized the teacher had done the best she could in the time allotted to provide each of the 28 children in her class a chance to view a leaf up close. As a longterm, committed homeschooling parent, people sometimes assume I have issues with school teachers. Nothing could be further from the truth. I respect and admire a teacher's willingness to help educate other people's children. I just don't believe a classroom is the most effective environment for teaching most children. My issue is with the system; not with the individual teachers, who are trying to do the best they can with the only educational method they have ever been exposed to. A member of my homeschool co-op is a former teacher who claims she can successfully teach her own children despite having a teaching degree. The implication is that much of what she learned in college was aimed at maintaining control of a group of children, communicating effectively with their parents, or satisfying bureaucratic requirements. As homeschoolers, we do not have to concern ourselves with these types of things. Homeschoolers don't need parent/teacher conferences. We don't spend time on role call or announcements. Our children don't have to wait for our attention with their hands raised. They aren't engaged in busy work, designed solely to keep them quiet while we deal with another student's needs. Their education doesn't take a back seat to our filing required reports and filling out forms necessary for keeping track of a classroom of full of children. Ironically, the National Educational Association routinely supports bills that would highly regulate homeschooling. Although their members complain of being subjected to unnecessary red tape and curriculum mandates, the NEA would impose similar restrictions on homeschoolers. Homeschoolers are free to do what teaching professionals entered the profession hoping to do: teach. No wonder homeschooled children score an average of 32 percentage points above their public schooled peers. This observation appears to be lost on those who would choose to impose classroom-style "school" hours, group management teaching methods, and the filing of additional reports on homeschooling families. Families who homeschool have demonstrated a desire to free themselves from classroom education. Our methods are working and we have no need for crowd control. We'll continue to fight additional regulation by the very institution from which we are seeking to separate. For additional statistics on homeschooling, check out Time4Learning's American Homeschool Statistics page. Swine Flu Alert! Flu Shots! Immunizations! Homeschooling?! If you’ve been around homeschoolers for any length of time you know that there are all kinds of opinions regarding whether or not you should immunize your child. One thing I’ve personally observed is that homeschoolers are big into having the freedom to make their own decisions. We do not want anyone to tell us what we “have” to do. I don’t think our mindset is arrogant, it has more to do with having the freedom to think outside the box. Every time I turn on my television set I hear about at least one new swine flu case. I know that here in my county alone, there have been at least 10 new cases. Recently we had a mom share about her fear of swine flu exposures on our Time4Learning forums and it got a LOT of great feedback. The good news is that this particular flu has not caused more death’s than the regular strains, but it is pretty horrible for those unfortunate enough to contract this specific strain. The scary part is that it can be life threatening when it comes into contact with someone who has a compromised immune system. In our home we have chosen “not” to do flu vaccines as of yet. The more I researched the less evidence I could find that it actually would keep us from getting the flu. As a matter of fact the one time we did try it (several years ago) was one of the few times that we did get sick. My background is in nursing and so I am certainly not anti-establishment. I love and believe in doctors and I think they play an important role in our families healthcare choices. However, my position is that they work for me and not the other way around. As a homeschooler I love the FREEDOM that we each have to make our own decisions. If we were in school, I would have to not only have all my children immunized, but it would have to be on their timeline. Though I followed the directions with my oldest two we took a different approach with my younger boys and delayed immunizations until they were much older. It’s still scary to see all the different diseases and disorders floating around. We are not exempt as homeschoolers, but I do believe that we lessen our chances of exposure. With all this media buzz taking place what are your thoughts? How have you chosen to keep your family safe? Whatever you do, do NOT perform an Internet search for "educational computer games". The last time I checked, Google returned in excess of 26 million results for that phrase. "Educational" is often nothing more than a marketing term, like "New and Improved!" With no real definition, "educational" can mean whatever the person making the claim wants it to mean. What is the difference between educational computer games and an online curriculum like Time4Learning? Computer games can be entertaining ways to drill or review concepts to which a student has already been introduced. First, though, the student needs to have a basic understanding of the concept. Can you imagine a child trying to play a game designed to reinforce the times tables before he has learned about multiplication? A curriculum includes several elements that are essential to learning mastery. Few computer games target more than one of the elements. A curriculum first introduces and teaches the material to be learned. Second, it provides a means of practicing, or drilling, the concept. Third, it includes a method of evaluating the student's progress. A curriculum will do all this within the confines of a specific scope and sequence. The scope details what material is to be covered. The sequence outlines when each concept will be introduced, built upon, or reviewed. A computer game's intended purpose is entertainment. If the game also provides some educational value, it's considered a bonus! Time4Learning includes many such games in its unique Playground feature. Students are granted access to the Playground after completing a parent-determined amount of study first. In contrast, a curriculum developer usually designs games to fit the concept being taught, instead of the other way around. Care is taken to follow the program's intended scope and sequence. Education is the primary objective of this type of game. These kinds of games are an enjoyable part of the curriculum provided by Time4Learning. The online Demos demonstrate that the curriculum offered by Time4Learning includes animated learning games and interactive, text-based lessons. Time4Learning offers a standards-aligned curriculum that includes teaching, practice, and assessment for the student and customizable reports for parents. Don't tell the kids, but it's more than just a computer game! For those of you who are brave enough, though, let’s look at the next five homeschooling blunders. These are the deal-breakers. The ones that can have you at your kitchen window, binoculars in hand, calculating the distance between the closest public school building and your front door. So to keep the love of home education flaming in your heart, I’m sharing my “boo-boos” with you so you won’t need to repeat my mistakes. Want a recipe for homeschooling disaster? It has only one ingredient: ISOLATION. If you are trying to homeschool without the guidance of at least one person who has been down that road before, you are going to find yourself second guessing everything that you do. This is one of the key reasons to find a local homeschool support group and talk to some of the more experienced members. Ask questions – even dumb ones! (Don’t worry, they’ve heard them all before) And, if possible, find one sucker among them that will let you add them to your speed dial. Even if you are certain that you are the only homeschool mother in the world whose son reads his books upside down, you probably aren’t. Having a support system will bring you the assurance you need to continue homeschooling when you just aren’t sure you are doing the right thing by your kids. Whether we’d like to admit it or not, we are all swayed by the movements of the public school system. And one of the biggest of those was the “No Child Left Behind” act, which ushered in unprecedented focus on assessment-based learning. Whether or not this strategy is appropriate for the education of children en masse is not my beef for this post. The argument I will make is that it should NOT be the focus of a homeschool. One of the main advantages of homeschooling is the ability to individualize education. A homeschooling parent does not need an abundance of assessments to know where there children are, educationally. And by over-focusing on standardized tests, both parents and children alike can lose sight of the goal…falling in love with learning! I’ve had moments in the last ten years when I have wanted to throw in the homeschooling towel. Almost every one of these moments was preceded by a conversation with another homeschooling mom. As soon as I hear that Suzy’s daughter, who is the same age as my son, has memorized every state capital, and can even sing them in alphabetical order, I start tearing apart the hall closet in search of that U.S. map that I know is in there somewhere! I have caused myself and my children untold grief by trying to compare what we do at our house with what Suzy’s family does at theirs. Every child is unique, and learns at his or her own pace. If we try to fit into another homeschooler’s mold, we will have already lost what is so precious about home education: individuality! As you can probably tell, I tend to dish out a little humor in my posts. Some people who comment on my personal blog ask me if I fancy myself a comedienne. I usually answer, “Nope. Just a seasoned homeschooler.” Laughter has been the saving grace of my homeschooling adventure. From the time when my boys insisted that their pet turtle carry their math papers to me taped to his back, to the time we tried to create a volcano using baking POWDER and vinegar, to the time we sat in front of the ice cream parlor eating Moose Tracks and practicing probability with men with facial hair vs. men who were clean shaven - - we have had FUN with learning. Hardly an hour goes by in our day that we don’t find something to laugh about. And why shouldn’t we? We are free. Free to laugh. Free to learn. Free to homeschool - - mistakes and all! What do the Jonas Brothers and Thomas Edison have in common? Benjamin Franklin, James Madison, George Washington, John Adams, John Quincy Adams, James Garfield, Andrew Jackson, Albert Einstein, Leonardo da Vinci, Joan of Arc, Alexander Graham Bell, Thomas Edison, Agatha Christie, Laura Ingalls Wilder, Jonas Brothers, Barlow Girls, Jennifer Love Hewitt..., even Condoleezza Rice was homeschooled for one year! Of all these great examples (and there are many more) my personal favorite is Thomas Edison. His mom is my hero. I want to be just like her. After teachers and a principle told her that her son was “Addled” (which means stupid or confused) and that he could never learn, she pulled him out of school and homeschooled him. She believed in him when no one else would. Many people have speculated that Thomas Edison was the poster child for ADHD. He couldn’t sit still, he talked all the time, he constantly did things that seemed destructive such as, burning down his barn! He was hired and fired more times than you can count on one hand, but through it all his mom only saw who he was going to be! She kept on believing in him, cheering him on! Did you know that by the time he died he had 1,093 patents!? I’ve often wondered if those teachers who had been so quick to pass judgement on him ever got to see how much he changed our world? How about you? Even on those tough days when you look at your child what GREAT things do you see about them? I heard a quote last week that has stuck with me. She said, “I”m not raising my little boys to be little boys or my little girls to be little girls. I’m raising my children to be STRONG men and women”. I think Thomas Edison’s mom never looked at who he was at the moment. I believe she viewed him through the prism of who he would grow up to be, and that’s what kept her going even as he had to work through his immaturity. How blessed we are in this day and age to have the modern technology available to us that Thomas’s mom never had. I love the POWER of the computer and on-line learning, I love that we have the technology to travel and film places all over the world so that my children can learn about other cultures through pictures. I know that if all those famous presidents could learn with the limited resources they had, OUR CHILDREN have even more opportunity! Moms and dads we hold an incredible power in our hands. It's the power to believe in our children when no one else can see their potential. My hope and prayer is that I won't look at today, but that I will see who they are going to be tomorrow, five years from now, 25 years from now! Letters, sounds, and numbers. Practice writing their names. Doing arts and crafts. Learning about our world. Preschool sounds a lot like school to me, so what's "pre" about it? When American public education was in its infancy, students didn't start attending first grade until they were seven or eight years old. When schools began accomodating younger students, the label "first grade" was already taken, so the word "kindergarten" was borrowed from Germany. The first kindergartens were intended to be a transitional time for children who had spent most of their lives at home. Working parents appreciated the reduction in their day care expenses. Competition among day care centers resulted in many of them instituting a school-like curriculum and gave birth to the term "preschool". Now it is common for children as young as two years old to be enrolled in a formal academic program. I enrolled my youngest daughter in such a program at age three. Determined to play an active part in her education, I went into action when she brought home a worksheet with a huge letter "O" printed on it. She had colored the letter, but I knew it would be helpful to extend what she was learning at school to the home front. We did "letter O" activities all week at home. We circled the letter O in newspaper headlines. We went on a scavenger hunt for objects that began with the letter O. We searched street signs and bulletin boards for the letter O. Near the end of the week, as she was forming clay into the letter O, my daughter looked up at me and said, "I wish we did stuff like this at school." "I got the idea from school!" I answered. "Because you're learning about the letter O at school." She looked puzzled. "We aren't learning about the letter O at school. We're learning about the CIRCLE SHAPE!" Obviously, I had misunderstood the intent of her preschool worksheet! Parents who teach their kids at home are in a better position to effortlessly extend lessons into everyday life. Many preschoolers are most receptive during everyday activities. Look into today's preschool classrooms and you will find an attempt to recreate the home environment: a braided rug with a rocking chair for the teacher to use during "Circle Time", toy stoves and refrigerators, a place to nap, and other homey comforts. My subsequent children all "attended" preschool (and all the other grades, in fact) at home. An occasional playdate provided practice with concepts like "sharing" and "taking turns". I love the new preschool program at Time4Learning! It isn't available anywhere else, and it's hosted by Time4Learning's mascot, Ed Mouse. My current preschooler is excited to be "doing school" like his older brothers and sisters. Since he has watched Ed Mouse introduce his siblings' lessons so many times, he feels "grown up" when he sees Ed in his own lessons. Time4Learning's preschool is set up as forty themed units on two levels. The second level is a bit more advanced. For example, the first level provides practice with letter names. The second level offers some activities designed to get the student thinking about the sounds those letters make. Neither level requires keyboarding skills. The student needs only to be able to use a mouse. Each theme is introduced with a story, song, or video. Three or four game activities follow, all on the same theme. Because repetition is important for preschoolers, the activities can be repeated as many times as desired, although the program checks them off the first time they are played through. There are the typical preschool themes such as "Transportation" and "At the Zoo", as well as some creative themes, like "Fruit"! Worksheets and online games should only provide a portion of a preschooler's education. Time4Learning's preschool themes are easy to extend into everyday activities. On the Parent Forum, families are sharing their own ideas for fun extension activities. It's great to be able to pick and choose activities that I have time for, or to eliminate additional activities altogether during my busiest weeks. Familiarity with technology isn't optional anymore, so I'm excited about using an online homeschool curriculum for my own kids. There are a lot of free preschool games online, but they are intended to be supplementary material or "just for fun". Tme4Learning offers the only online, leveled preschool program that I'm aware of. The program has the structure that some kids (and parents!) crave, while still providing the fun and flexibility sought by families who prefer "unschooling" methods. You might be interested to read one mom's in-depth reviews on the Time4Learning preschool curriculum. Each review covers a different aspect of the program, to give you a comprehensive look at this online homeschool curriculum for preschoolers. Are Video Games Ruining Our Children? My boys LOVE video games, but recently I’ve been taking a hard look at their role in our life, our home. Over the years I have heard reports, opinions, speculation, you name it. There are all different camps out there on the subject. Some families believe that it actually causes the brain to begin to process differently so that children have a hard time learning, others think that video games can give our children a feeling success as they set goals and achieve them. We have always chosen the way of video games for many different reasons, but I am once again re-evaluating the role they play in our home and thought today I would share our experience with you. Let me start by telling you what “I” personally believe for my home, my children....., "Moderation" and "Balance" are KEY! I think video games make a wonderful "reward" tool. It’s something they can work “towards” when they have a lot on their to-do lists and something that can be taken away when they are not doing what they are supposed to. It’s an opportunity for them to practice strategy. They have to try and try again in order to be successful. They learn that perseverance pays off if you don’t give up. What do I “not” love about video games? I don’t like how they sneak in and steal my children’s hearts. Rather than a “tool” they become the master. I don’t like to watch my children hurry through school and chores just so they can play their video games. They never take the time to enjoy what they are doing. The goal becomes to hurry up and get through it so you can play video games. I don’t love how when "I" am not diligent in putting boundaries in place how it steals my children’s creativity. I have an amazingly artistic 13 year old in our bunch. He is SO gifted and loves to draw, build, play piano. He used to spend hours working on those things and then over the years we began to add one system after another into our home as grandparents and family members gave these as Christmas presents. One day last week I looked over at my incredibly creative child and saw his entire face and body absorbed into the little black box in his hands. I decided to pull in and pray about it. Over the weekend we had a family meeting and told our children that we were going to start putting boundaries into place. Sunday nights all video games go up and they don’t come out again until after our co-op classes on Friday afternoons. I knew that if I left it for a daily reward that they would never take the time to invest in their giftings. They would rush through their day, waiting for the coveted time that they could grab their games and lose themselves among the world of make believe. My children are just beginning to go the extra distance with their creativity. Yesterday my 7 & 9 year olds pulled out and old roll of packing paper and traced their bodies and cut them out. They got their art sets and painted features and clothes and took their life sized paper buddies with them everywhere. My 17 year old spent more than the "scheduled" 30 minutes working on his guitar lessons. My 13 year old who loves to organize started organizing his games in anticipation of the coming weekend. Make the popular choices. Then, you're allowed to complain as much as you want. If you've chosen to homeschool, you don't dare mention that you haven't vacuumed yet this week or to lament the state of your bedroom. Anti-homeschoolers will blame homeschooling for any problem you ever have. If you'd only send your kids to school, they reason, you'd have more time for housekeeping. Yeah, but we'd have less time with our kids. Still, a household with ever-present children presents certain housekeeping challenges. I'll admit to an occasional fantasy that involves watching my kids pile onto a school bus, not to be seen again until three o'clock that afternoon. My, how things would sparkle by the time they arrived home! Or maybe I'd just take a nap. Over the years, I've stumbled across a few coping strategies that have made improvements in how this crazy household functions. One was actually an accident. My son's bed frame broke, and we were forced to place his box springs directly on the floor until I could get another. While cleaning his room in preparation for the new bed's arrival, I noticed something wonderful. Previous room-cleaning sessions had revealed toys, underwear, and a variety of unidentifiable attrocities beneath his bed. With that convenient hiding place removed, we were able to make the room presentable in a fraction of the time. To this day, all of my children sleep on mattresses over box springs, which sit directly on the floor. With some tugging, a second fitted sheet will just cover the box spring, and it all looks quite nice, even when the bed isn't made. Speaking of sheets, my kids' bedding doesn't get washed weekly. The children are put to bed clean and their sheets are washed about once a month (bedwetters excepted, of course). If the sheets look clean and smell clean, then they ARE clean . . . aren't they? Most of the children use a comforter without a top sheet, so making their bed is just a matter of pulling the comforter up. The comforter gets washed when the sheets do. I'm currently between dishwashers. I've been telling myself that since our dishwasher broke three years ago, because I don't want to admit that I might not get another. I detest washing beverage glasses, with their nasty little rings of dried milk. Unfortunately, cups and glasses made up the bulk of our dishwashing detail. I considered paper or plastic cups, but decided I'd rather put the money toward a new dishwasher. In desperation, I took my kids to the Salvation Army to choose one twenty-nine-cent mug each. I set a mug tree on the kitchen counter and instituted a "no glasses" rule. If anyone wants a drink, they use their own mug, rinse it, and hang it back up. Once a week, I wash all the mugs in bleach water. Voila! Fully half of our dirty dishes were eliminated. Beach towels are cheap at the end of summer. Buy a bunch. Have a couple sets of decorative towels to make your bathroom look nice, but use beach towels for the serious business of drying wiggly little bodies and wiping up their splashes. Even adults appreciate using a really substantial towel, instead of the puny little rectangles marketed as "bath towels". I've given up on chore charts and other methods that require assigning different chores every day or week. In my house, my kids are "specialists" ! If you think about it, the most difficult part of getting a child to do a chore is teaching them to do it correctly. At this point, my kids have had the same chores for years and they can do them more efficiently than I can. Of course we want to train our children to do a variety of household tasks, but there are a few things we just want DONE on a regular basis. Those daily, essential tasks make great permanent work assignments. Maybe you don't have six kids like I do. Or maybe you have more. Regardless, you probably have some survival tips of your own, so please share. I can use all the help I can get! Moms, please make sure you are taking care of yourselves. Homeschooling can seem like an all consuming job. Even when the “all-consuming” is born out of PASSION & LOVE! There is something so sweet about watching my children as the “light” goes in. I love to watch them have “aha” moments. Over the years I became more and more focused on my family, our curriculum and outside extra curricular activities and I became less and less focused on doing things to take care of myself physically. Being a mom keeps me busy and I found myself feeling guilty and selfish for even thinking about taking consistent time out of my day to go exercise. There was always one more task that I should be doing in my home. I’ll work out later, tomorrow, next Monday. Imagine my surprise when last summer I was taken to the emergency room where they thought I was having a heart attack. I was simply sitting at the table working on my lesson planning when out of nowhere my heart began to accelerate and beat out of my chest. I tried to tell myself it was nothing and decided to go lay down. However, when a slight pressure decided to go up through my neck and into my back I knew I might be in trouble. By the time my husband got me to the hospital my blood pressure was in the stroke and seizure range. Thankfully there was NO damage to the heart, however, do you know what I thought about while nurses worked fervently around me? I thought of the beautiful faces of my children and the idea of leaving my husband. I realized how out of whack my priorities had been. Even when there is not the threat of death looming overhead, if I am out of shape, I cannot be the mom I want to be. Over the past year I have talked with so many homeschooling moms who struggle with the same thing. In the year since that event I have stabilized my life with medication that helps me to keep my blood pressure under control. I have learned that I can’t give away what I don’t own. If I want my children to practice good health decisions than they need to SEE me (not hear) me walking them out. Homeschooling is more than just curriculum. It’s a lifestyle. A lifestyle of learning, loving, growing, doing and being. Have you ever heard the saying, “More Is Caught Than Taught”? Remember your children need YOU! What are things you do on a consistent basis to take care of yourself in this crazy, but wonderful world of home education? Setting Our Children Up For Success! Our homeschool support group hosted Linda Werner last night. (Author and speaker of “Strength’s Defined”.) Whoa! We had two hundred homeschooling parents and children sitting in our audience, and I knew that lives were being changed as I listened to moms rustling through their purses for tissues to wipe away tears. The overwhelming theme of Linda’s message is that we need to embrace and squeeze EVERYTHING out of every single day. Time goes so very quickly and all too soon our children will be on their own. She talks about learning to live a “Strength’s Based” lifestyle where you find out what your children are GREAT at, and then help them discover who they were made to be! How do you discover these things? Well there is a very specific test you can take, but today I am going to share her simple and practical suggestion to get the ball rolling in that direction! Mom should do it FIRST and then as she begins to catch the fire, she turns and does it with her children. If you have young children (unable to verbally/cognitively participate) she suggested making observations on your own and journaling them on an on-going basis. What Energizes You? What makes you WANT to get out of bed? As my oldest son and I came home and made out our lists we realized that we ARE fulling engaging in our strength's and living our dreams. However, my husband saw that in his busy work schedule he was skipping those very things that feed his soul, those things that make him wake up and come alive! “I” am ENERGIZED when I..., Spend time reading my bible, Spend time with my husband, engage and do things with my kids. Nothing fuels my fire more than Homeschooling, Teaching at our co-op, Writing, Speaking, Blogging, Taking Pictures! My “husband” is ENERGIZED when he..., Works out, Lifts weights, plays guitar. His fire is FUELED when given the opportunity create solutions where there seems to be chaos. When I look at my list I am so encouraged that I am getting to live my dream! I am actively involved in all the things I’ve listed. I am also thrilled that I see my son is getting to engage in those things that feed HIS soul! The things he LOVES to do. However, we realized that my husband was skipping many of his passions because of his strong sense of responsibility. We are now able to regroup and relaunch! Let me close by telling you what I thought was the most important aspect of our evening. Pursuing Strength’s does not mean that we only do what we want. Pursuing Strength’s is a “heart” issue, it’s a way of “thinking”, “acting” and “doing”. Working in area’s that are not your strength’s such as math for my oldest is not so hard when he is giving ample opportunity to fill up his heart pursuing his STRENGTH’S and PASSIONS! Our family LOVES to plug in to the amazing homeschool activities in our area and yet I want them to have a SOLID foundation in their basic skills. Time4Learning has allowed us that privilege. Whether I have children who are Dependent or INdependent learners, Time4Learning meets their need. They get to work independently, but because of the the interactive graphics it helps my “dependent” learners engage actively so that they feel a sense of fellowship and relationship while they are learning. What Energizes You? What makes you WANT to get out of bed? What Type of Homeschooler Are You? The Independent Homeschooler: These are the do-it-yourselfers. They have probably experimented with modern-day homesteading, or at least find the idea intriguing. They teach their children to garden, cook, and sew and they might have a flock of chickens in their back yard. "Homemade", "home grown" and even "home birth" are probably familiar terms to Independent Homeschoolers. "Home school" was the next logical step. The Temporary Homeschooler: These families plan to return to the public school system as soon as a problem is resolved. They may have removed their student from the school system in order to help him "catch up". Perhaps they had issues with their child's teacher and intend to homeschool only for the current school year. Maybe the student has been suspended or expelled. Whatever the reason, homeschooling is undertaken only for a short time. The Situational Homeschooler: People who fit into this category would usually choose the public school system, but are in a situation which makes that choice awkward or impossible. Sometimes a child's health status makes attending public school unwise. Parents whose jobs demand frequent moves often choose to homeschool to avoid subjecting their children to new schools on a regular basis. Missionaries and other workers might be living in a location where public schools aren't available. Child actors are Situational Homeschoolers, too. The Social Homeschooler: As homeschooling becomes more common, this category of homeschooler is growing. Social Homeschoolers homeschool for the same reason the general public chooses public school: It's what everyone they know does. These people might be active in a church where homeschooling in the norm, or at least routinely accepted. For whatever reason, their circle of friends includes many homeschoolers, and it's comfortable to join the crowd. The Activist Homeschooler: Activist Homeschoolers have a basic disagreement with the idea of public school. They often feel government should not be involved in education. Due to religious beliefs or their own moral standards, they take exception to some of the things taught in public school. Sometimes they simply believe a classroom structure is just not the most effective means of educating children. Homeschoolers in this category are likely to be active in church or political groups. The Accidental Homeschooler: Accidental homeschoolers choose homeschooling as a response to difficulties in their student's public or private school. The child might be falling behind academically. The parents may have differences of opinion with school personnel. There are many reasons the hoped-for method of education might not work out. In this case, the parents often begin homeschooling having never considered it a serious option in the past. The Phony Homeschooler: These people aren't really homeschoolers at all, but criminals who claim to be homeschooling to cover up their misdeeds. When stories about these "homeschoolers" hit the news, the reputation of "real" homeschoolers takes a hit. It pays to keep in mind that child abusers who masquerade as homeschoolers generally do not follow their state's homeschooling laws, do little or no actual "schooling", and are not representative of genuine homeschooling families. The Just Plain Homeschooler: Most families who stick with homeschooling metamorphose into this type eventually. Homeschooling has become an accepted and normal part of their life. They rarely think about their reasons for homeschooling anymore. They're comfortable with the lifestyle, they no longer feel they need to defend their decision, and homeschooling doesn't occupy their thought process twenty-four hours a day. Many people fall into more than one category. What type of homeschooler are you? I started my homeschooling journey ten years ago, when the summer before my oldest son was about to start kindergarten he contracted a serious neurological illness, and school was not even an option for the near future. Our family suddenly became “accidental homeschoolers”, without having ever even considered what that might mean. After doing as much research as I could (there was no free “Welcome to Homeschooling” guide back then), based on the materials available to me at the time, I jumped head first into my homeschooling adventure, learning as I went. As you can imagine, this mostly involved learning the hard way. Mistakes became the norm. In fact, if things went well our first time doing something new, I would begin to doubt it’s effectiveness! Anyway, all this trial and error has given me a unique perspective on things, and I see it as an opportunity to share some of that hard-earned wisdom with those of you who aren’t quite as far along on the path. So for my next two posts, I’m going to share with you my “Top Ten Homeschooling Mistakes,” in order of what I think are the least egregious all the way to the mistakes that can do a homeschool program in. If homeschooling wasn’t high on your priority list, and seems daunting to say the least, you might be tempted to put off your research and planning in favor of say… having your toenails removed with pliers. This is a common beginner mistake, but one that will lead you to purchasing homeschool curricula you don’t like, hanging out with support groups that don’t fit you, and asking the wrong people for advice. If you are one of the few people in your family or circle of friends who homeschools, you are likely to hear any number of reasons why homeschooling will damage your children. 9 times out of 10 these well-meaning advisers have no personal experience with homeschooling, and are simply falling back on uninformed opinion or faulty information. Unless these people have experienced homeschooling for themselves, and know your children as well as you do, their judgment is not really trustworthy. 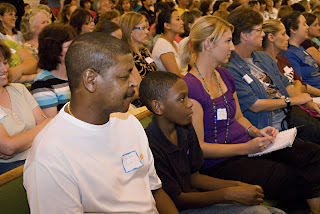 Many first time homeschoolers attend curriculum fairs or book sales. These are wonderful sources of information about the materials available to homeschoolers, but they can also basically be crack dens for homeschoolers jonesing for a fix. The materials that look so beautiful and effective on the display tables may end up as clutter on your coffee table if you give into your urges instead of taking home brochures or samples to study carefully when you aren’t under the influence of the bright lights and colorful book covers. I’ll never forget the year I decided that handwriting was a useless art. My line of reasoning was that computers were everywhere, and anything my boys needed to write could be done via keyboard. So imagine my surprise when my oldest son signed up for a volunteer position at a local non-profit animal shelter, and one of his main duties was making notes on the condition of each animal that arrived - - on a handwritten form!! Besides my own embarrassment at leaving such a crucial gap in his instruction, I had to face my son’s frustration at not being prepared for something he really wanted to do. It was at that point that I started looking further into my children’s future, to see what skills they might need for the different choices they might make. Our first home “classroom” was adorable. I had a little desk situated under a little dry erase board, educational centers around the room, and was stocked up on sentence strips, math manipulatives, and magnetic letters. Any kindergarten teacher in the world would have been proud. My son, however? Not so much. He despised the desk that kept him from acting out the stories I was reading. He preferred to use the sentence strips to create makeshift murals of the Pilgrim ships. And doggone it if the dry erase board didn’t become his preferred method of working out his math problems. I discovered the hard way that “school” is “school” because teachers need conformity. My son needed individuality. School-at-home was a bust…but the dry erase board still comes in handy when I need to remind my hubby that we’re out of milk. Are homeschoolers cheating the public schools? Homeschoolers are accustomed to defending their choices. There is always someone who hasn't read the latest statistics on standardized test scores and assumes parents can't teach their own children. Of course, there are also people who are concerned about "socialization", as well as those who feel children should be exposed to a wider variety of beliefs, values, and opinions than they imagine homeschooling parents provide. All of the preceding concerns have effectively been laid to rest by several large studies. Homeschoolers score at least thirty percentage points above public schooled children on standardized tests. Colleges are actively recruiting students who have been educated at home. Now that a generation of homeschooled students have grown up, we can see that they are generally successful in their jobs and usually get married and have children. They are also more active in their community and more involved in politics than those who received public schooling. Although some families homeschool in order to shield their children from what they perceive as negative influences, the vast majority of these parents still incorporate information about other beliefs, cultures, and religions into their child's education. Homeschooled kids have fared a lot better than some people imagined they would, so now there's a new concern. It seems that some believe families who homeschool are cheating the public school system. Teachers generally acknowledge that students do better in school when their families take an interest in their education. These are the families who are most likely to homeschool. Removing them from the public school system dilutes the average score for everyone. Parents who homeschool have often been members of the PTA or active volunteers at their child's school. When these parents leave, their limited time and energy is concentrated on their own children, instead of directed toward the public schools. Public school funding is based, in part, on the number of students attending. School districts do not receive funding for students who are being homeschooled, thereby reducing the amount of tax money disbursed to the public schools. Because of these things, it has been suggested that increased numbers of students being homeschooled has contributed to the decline of the public schools. Accidental homeschoolers think that's a backwards way of looking at it. They would argue that poor public schools contribute to their decision to homeschool. But what if it's true? What if homeschoolers could markedly improve the public school system simply by returning and getting involved? Improvement takes time. If returning your student to school meant the school would eventually be better for other children, would you make the sacrifice? People often sacrifice their own well being for the greater good, but it's adults that are making those decisions for themselves. Don't parents usually do what they feel is best for their own kids and wait until their child is old enough to decide what he wants to sacrifice? Do familes have an inherent responsibility to the public schools? Tying Strings is all about being purposeful in creating long lasting memories with our children. It’s the things we do that tie our hearts to our children and vice versa. One resource that has really helped me tie strings with my children is the book, “The Five Love Languages”. This book talks about how each of us has a special and unique love language all our own. It’s how we love others and how we receive love. My alpha (17) and omega (7) children have the love language of “Affirming Words”. Though they love rewards and gifts, hugs and kisses, nothing fills their cup more than when my husband & I affirm them sincerely with our words. Since this is my love language as well, it works out GREAT! (wink) When I check their records (aka: backpack) each day or check their tests on Time4Learning I am careful to verbally affirm not just work, but their effort. Even a mistake can be a "tying strings" opportunity if done correctly. My 13 year old son has the love language of “Gifts”. 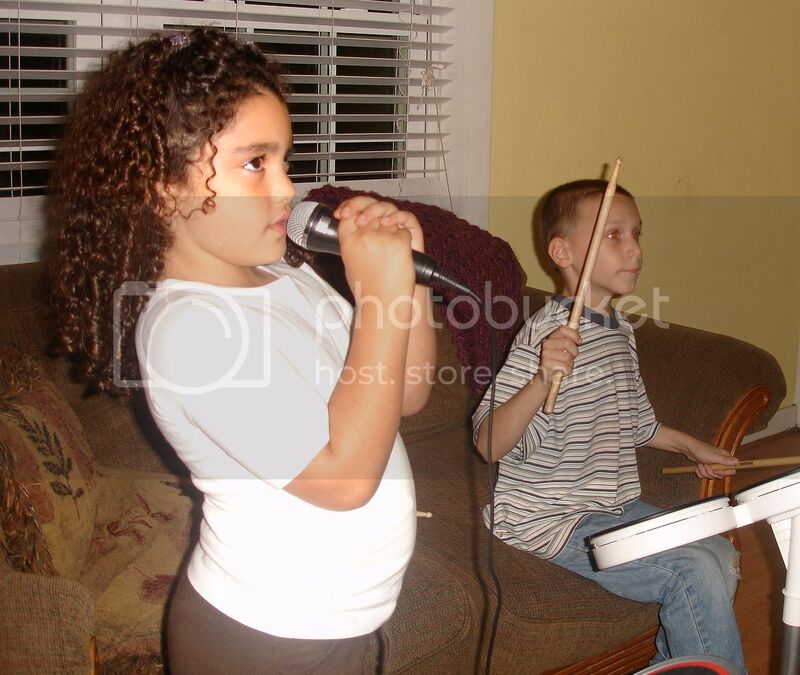 Ever since he was a little boy he has made or bought gifts to give to those he cares about. He would take his hard earned allowance and spend most of it buying gifts for his brothers, Grandma or even his dad and I. It might be trinkets from the $1 store, but they are treasures to me. When I suggest that he spend the money on himself his whole face seems to fall. To deny him the pleasure of giving gifts would be denying him the right to move and breath. He loves it! As I am writing this an idea popped into my brain to let him gift himself and his brothers as they complete each quarter of their time4learning assignments. We are very diligent in our home to know each others strength’s and to encourage one another in them. Even without the tests I knew these things about my children, myself and my husband, but the book helped us to become more purposeful. Knowing each other’s love language makes giving and receiving so much FUN, So Fulfilling! It can be hard when life gets busy and the world around us seems crazy, but even in a storm we all pause in gratitude to appreciate how uniquely different, but wonderfully we’ve been created. The answer is most definitely NOT! (Big Smile) However, I heard a statistic two years ago that just broke my heart. We found out from our state support group that one of the #1 reasons moms were putting their children back in school was because they were afraid that they would ruin their long term relationship with them. We had decided to have a family movie evening and all gathered together in the living room to eat dinner and watch “Prince Caspian” the newest Narnia flick. It seemed to be going great until Jacob, my 7 year old son, rubbed his belly and dramatically began to tell us that his tummy hurt and he couldn’t finish his dinner. I looked at him for a minute while he stared at me with his big blue eyes. It didn’t take long for me to relent and let him off the hook. As Jacob begins to put his dinner away my husband pauses the movie and calmly tells him, “no”, he needs finish his dinner. Trying to be the good wife, I stare at my hands as I watch my little Jacob’s face dissolve into tears. Not only does he crinkle that little nose of his, but his lip goes out and begins to quiver, he makes quiet sobbing, gulping sounds. I feel myself tense. Immediately I begin to make excuses for him. “Honey, his stomach hurts. He can’t help it.” I look over at my husband with my own little pout and there’s even a slight whine in my voice as I try to sway favor for Jacob. Without acknowledging my intrusion my husband says, “Okay, if your belly hurts then you can go put your dinner up, brush your teeth and get in bed. If you’re not feeling well daddy wants you to lay down.” I sat there fuming. What was the big deal? I remember glaring across the couch letting him know that I thought he was too harsh. He calmly turns to me and says, “Sweetheart, Jacob doesn’t show outwardly bad behavior, but he is struggling with some pretty big heart issue’s...., lying, and manipulation". He then calmly reminded me that our job as parents it to train him up into truthfulness and integrity. He had a point, but my pride would not let me admit it. Slowly, I begin to unwind and relax again as we watch the movie, when out of nowhere I see Jacob walking over to his daddy. He begins to apologize and tells him that he wants to eat his dinner and he’s sorry for saying his tummy hurt. My husband quietly talks with him and off Jacob goes to get his dinner. I happen to look up a little later and notice that he is sitting on his daddy’s lap. He is snuggling and happy and looks so secure and content. I was reminded that this is an important part of our homeschooling lifestyle. I am not only training the mind to excel academically, but the heart as well. How many times do I toss a careless order over my should to behave, sit down, be quiet in the busyness of my day without really following through? I have found that Words Without Action Cause Division. It makes me frustrated with my child and my child frustrated with me. What an example my husband was as I watched him follow through. The end result was a child who loved and wanted to be with his daddy. It built trust that dad was looking out for his best interest. As a big proponent of educational choice, I firmly believe that each family has to choose what works best for them. However, it breaks my heart that there might even be one parent who feels compelled to make a decision out of fear. There is HOPE! The things we don’t correct and retrain today our children will spend a lifetime working through as adults. Should you choose to go with another educational option because you feel led that it’s right for your family then I say GO FOR IT! However, I hope no one ever has to make a decision they don’t want to because of fear. You are the best parent out there for your child. No one loves them like you. No one loves you like them. Tomorrow I am going to follow up with Part Two of this article. "Tying Heart Strings". Which is all about how to have FUN and create lifetime memories that your children will cherish and carry with them FOREVER! Free Online Homeschool? Maybe not. Government funded "public school at home" programs are often confused with homeschooling. Accidental homeschoolers who are unsure of where to begin the homeschooling process will frequently make inquiries of the school district where their student is currently enrolled. Too often, the state's public-school-at-home program is the only option offered. Many parents sign up for these programs before they understand the choices available in home education. States receive school funding based, in part, on the number of students enrolled. Students in these alternate programs are regarded as public school students for the purpose of funding. Public-school-at-home students are not subject to any of the state's homeschooling laws and are not recognized as homeschoolers by the school district. Why do many homeschoolers insist on drawing a line between "real homeschooling" and "public school at home"? It's because they understand there are significant differences between the two. Although the word "homeschool" might cause one to focus on the physical location where education takes place, the more important difference is who directs the education. For this reason, the unwieldy term "parent directed education" is sometimes suggested as a replacement for "homeschool". An examination of the reasons families give for choosing to educate their children at home helps make the differences clear. If your child learns more slowly, more easily, or "differently" than other children, public-school-at-home may not offer the hoped-for change. Students enrolled in these programs are subject to the same scheduling restraints as their traditionally educated peers. Some of the programs suggest that a student can progress at their own rate, but this is only true to a degree. The work completed on a day-to-day basis may not be monitored, but the student is still expected to turn in a certain number of assignments per week, month, or quarter. Parents are not free to modify or omit assignments. One mother shared that her son had always been very interested in outer space. He could name the planets and identify numerous constellations by the time he was three. Still, he was required to spend two weeks studying basic concepts dealing with outer space that he had learned years ago. This parent felt her son's time would have been better spent practicing his multiplication facts . . . something he had yet to master. If you have had disagreements with your child's teachers, think twice before signing up for public-school-at-home. All of these programs require periodic contact with the supervising teacher. In the past, you and your child's teacher may have had a difference of opinion regarding the student's effort or abilities. When you get involved with home-based public education, evaluations address more than just your student's progress. Suddenly, your effectiveness as a tutor is also considered. This can create problems if you know your student requires unconventional methods in order to learn. If you are committed to your child receiving a public school education, but issues such as health or frequent relocating prevent your child from attending school on a regular basis, public-school-at-home may be right for you. If you hope to avoid a one-size-fits-all curriculum because your student is gifted or has special needs, because your family enjoys a nontraditional schedule, or because interactions at public school have been less than positive for your child or you, you might want to consider learning the homeschool laws in your state and choosing a flexible online curriculum like Time4Learning. Time4Learning allows students to proceed at their own pace. Lessons may be done in any order. Parents can choose to have their student skip or repeat lessons as needed. Students can work at different grade levels for each subject. Tests may be given or eliminated, open-book or traditional. Parents can tailor how Time4Learning is used to meet the needs of their own students. The price is less than twenty dollars per month, with discounts for additional students and no contract. The schools' own advertising takes care to explain that their at-home programs are not homeschooling. Public school at home may be a legitimate choice in some cases, but be sure to explore all the options before signing on the dotted line. How Does Time4Learning Stack Up? Our family came to Time4Learning a little late in the game. The first couple of years of homeschooling, I created all my son’s curriculum myself. I got into full-on “teacher mode”, and cut out every construction paper letter with my own little safety scissors, molded every playdough math manipulative with my own dexterity-challenged fingers, and sang every kindergarten song with my own off-key enthusiasm. It was awesome to behold. Then my younger son deigned to grow up and need some educating, and I was now a homeschool mom of two. Things would have to be different now. I dipped my toe into the big waters of homeschool curriculum, and was elated to discover Sonlight. I LOVED the idea of reading aloud to my boys all day, and discussing good literature, and doing projects based on what we were reading. That was the door of reality hitting me in the face, as I quickly found that my boys didn’t WANT to read aloud all day, discuss good literature, or do projects based on what we were reading. So then it was back to the drawing board of various and sundry curricula. Saxon was thorough, but dry as dirt. Charlotte Mason had a lovely philosophy, but I couldn’t fathom the fur that would fly when I introduced “copywork” to my two active learners. Bob Jones had complete curriculum kits, but didn’t really fit with our family value system. So the drawing board soon became our home away from home as we flipped through homeschool catalogs, studied learning styles, and tested out free trial periods on various curriculum. And then one day, as I was doing yet another eye-twitching hour of online research, I came across a search engine entry for a curriculum called Time4Learning. I had recently discovered that our youngest son was a very right-brained visual learner, and this sounded straight up his alley! It was multimedia. It was interactive. It was fun! We tried the lesson demos and were immediately hooked. Quality lessons, record-keeping and assessments, and all for less than $20 per month! This was exactly what we had been waiting for. For us, Time4Learning far exceeded every other homeschool product or method we had tried. What about you? Did you come to Time4Learning after a series of trials with other materials or curriculum? How does T4L compare with other homeschool programs you have tried?